Yes, I know I've been slack on this thing. As always, there are GREAT excuses! 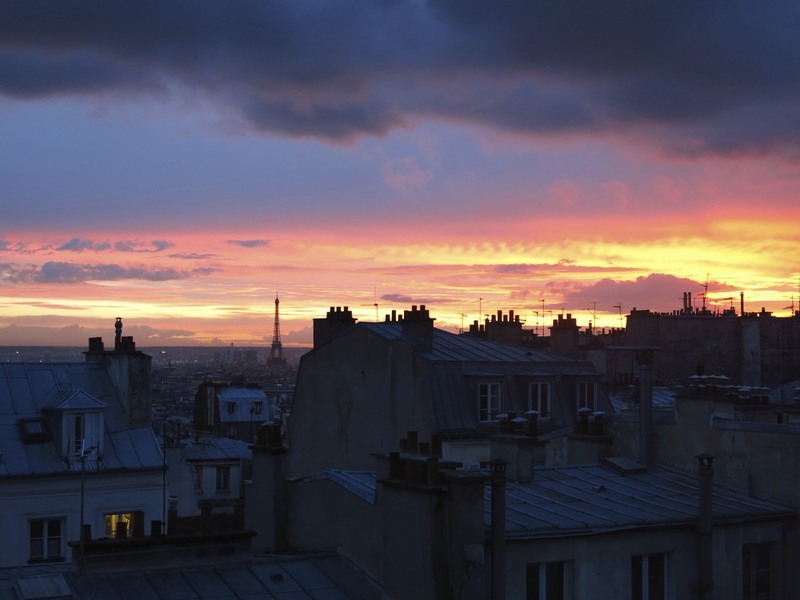 For one, I didn't want to spend my last week in Paris talking about living in Paris. We did a great job of LIVING it. Red wine, long walks, and steak frites GALORE. Next, we moved! Not that moving isn't a huge task in the rest of the country, but here in New York it's a special kind of challenge. We are sort of settled in and now that Rp is in the studio we'll remain sort of for a while. So - "Did You Love it??" is the main question I get, so I'll address that right here and now! Um, yes. Yes, I did love it. Was it dreamlike and pure perfection every single day? No. But that's why I loved it... it was real. I was forced to speak French. I was forced to adapt. As Ron likes to say - France doesn't change for you. You change for France. So any time you think "man, why don't they just ______? " WHY WOULD THEY? They've rocked what they're doing for hundreds of years... and it works! You either learn to love it, or Paris isn't for you. For us, we settled nicely into a routine of buying bread every single day, buying small quantities of fresh fruit and vegetables daily, jumping over dog poop all over the sidewalk (ahem, one thing I wish I didn't HAVE to get used to), and taking the metro everywhere! I guess the metro wasn't a big deal for us, but in New York we're known to indulge in a cab or two when the subway route gets incredibly long. The metro is great there - New York's subway loses major points up against it. We LOVE LOVE LOVED our apartment. We found it through AirBnB and couldn't have been happier. The building was very old and very french and had charm out the wazoo. Also - if you have never used AirBnb - you should! It's perfect. We have used it all over the world. Oh, the view wasn't too bad either. I mean... it was FINE. PS - I did not edit this photo at all. Did I do museums? Yup, I think all of them. Monet's contribution at The Orangerie is stunning. Did I eat crepes? Sure did. Although, I hate them. Did I indulge in pastries? Why yes, I did. I'm not a huge sweets person, but how can you NOT get into a few in Paris? Did I fall in love with French yogurt? OH MY GOD - have you HAD French yogurt? It's pure insanity. So delicious. NOTHING HERE COMPARES. Did I get offended by a local? Hell yes I did! Did I people watch? Of course! The BEST people watching happens there. Also, dog watching. Did I learn to love wine at every meal? No. I already loved that. Cheese... did I cheese my face off? Yes, I no longer have a face due to cheese. Did I conduct an entire shoe purchase in French? YES. What is more important than buying shoes in France? Nothing. So am I done telling you about the city of lights?! NOPE. Not even close. Just wanted to kick it off with a good overview. It feels strange to be back. Not just back from Paris, but back from traveling in general. Part of me doesn't know what to do with myself without packing up and skipping off to the next city every day, but I'm sure I'll get used to it eventually. Having to wash my own towels is a HUGE bummer though (hotel life, whaaat). I also feel like I'm the most awkward person on earth around my friends again and socializing like a normal human being. But luckily they are my friends... so I think they'll let me work that out without disowning me. Possibly.